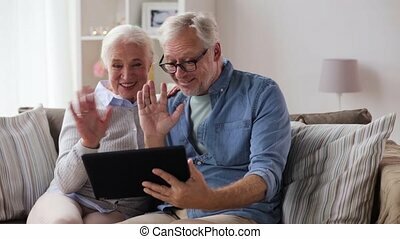 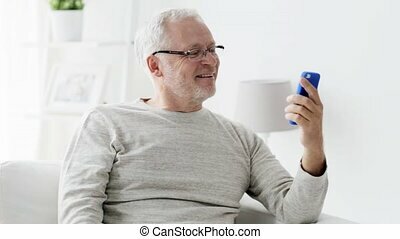 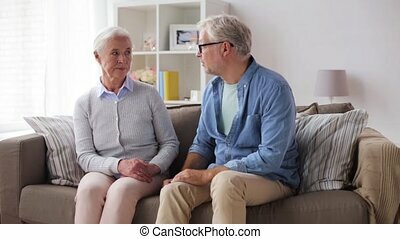 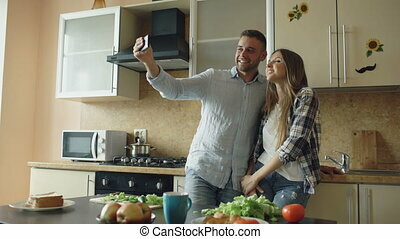 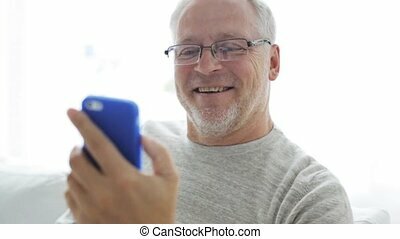 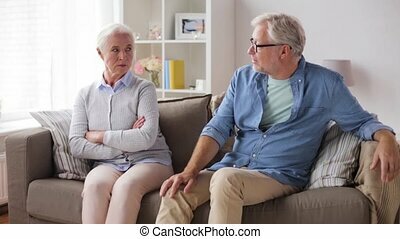 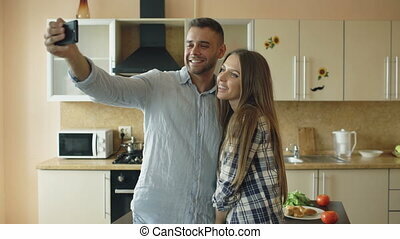 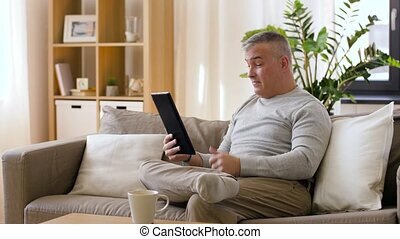 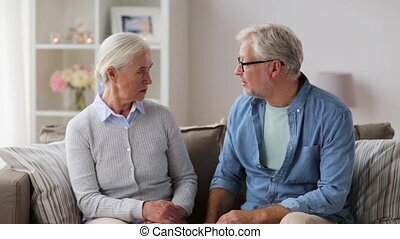 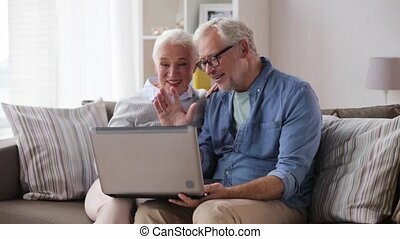 Senior couple having video chat on laptop at home. 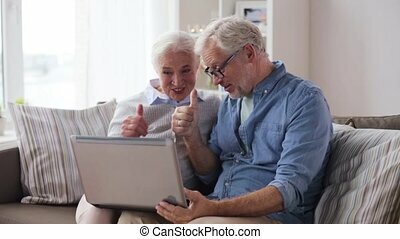 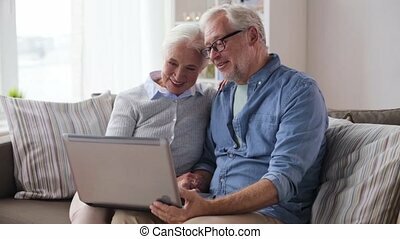 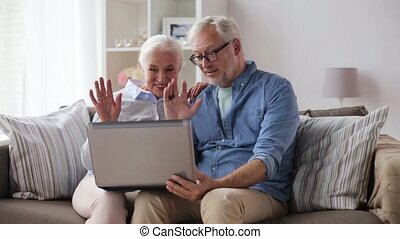 Family, online communication, age and people concept - happy senior couple with laptop computer having video chat at home. 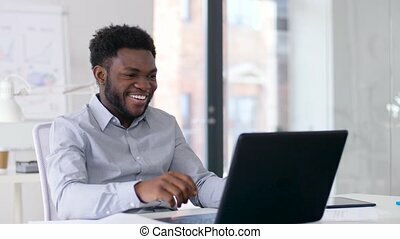 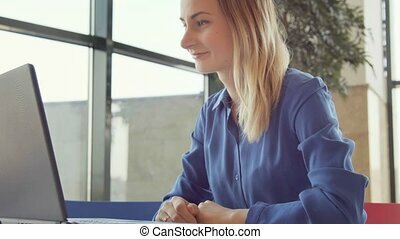 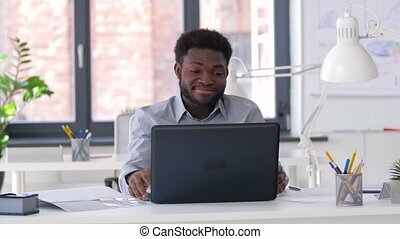 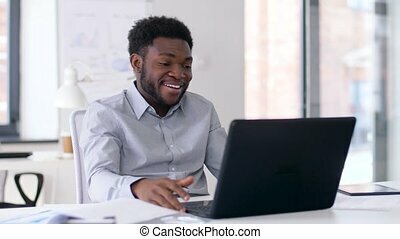 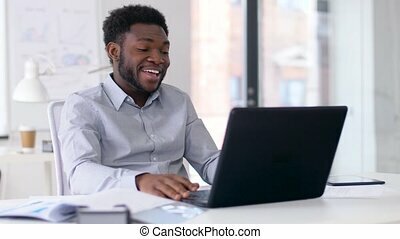 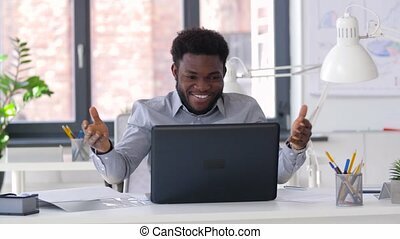 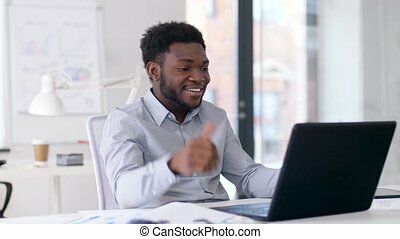 Happy woman during video chat on laptop at home.